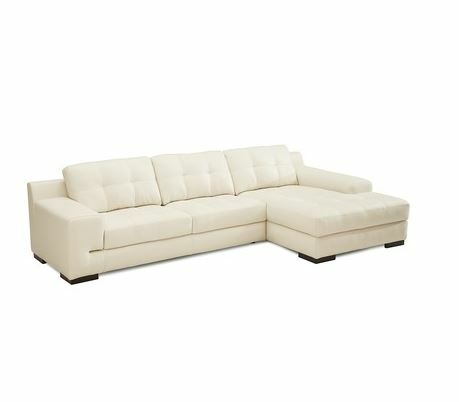 Tags: Atlanta Sectionals, Bimini, contemporary, Lounge, sectional, sectional sofa, tufted. Comfortable and plush, this cream colored tufted sectional with thick square legs is perfect for lounging in style! Available in Leather or Fabric.